Most Awarded Agency at the 2016 B2B Marketing Awards! What a fantastic end to 2016 for Really B2B! The office is absolutely buzzing today as we celebrate taking home not one, not two, but an incredible three awards at the B2B Marketing Awards last night! The HAC in London was the beautiful (and very sparkly) venue for last night’s annual B2B Marketing awards ceremony. With over 800 marketing professionals attending last year (where we won two awards), this year’s event was bigger and better than ever! Of course, the evening took a spectacular turn when it was announced that Really B2B won Best SME Targeted Campaign – for a second year in a row! 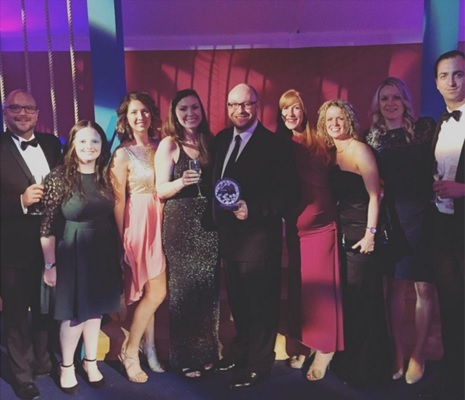 In 2014, the team here at Really B2B scooped two top accolades including ‘Best Use of Content Marketing’ and ‘Best SME-targeted Campaign’ at the B2B Marketing Awards. Spurred on by our success, we set our sights on the 2015 awards season and got to work pushing the boundaries of our expertise and abilities. With a firm view of improving on last year’s haul of awards, the benchmark was set, and the work began. Following a year of target-smashing activities, we entered our award submissions for 2015 and waited for the news of shortlisted entries. Over the past couple of weeks, awarding bodies have started releasing news of their shortlists, and guess what… we’re at it again! 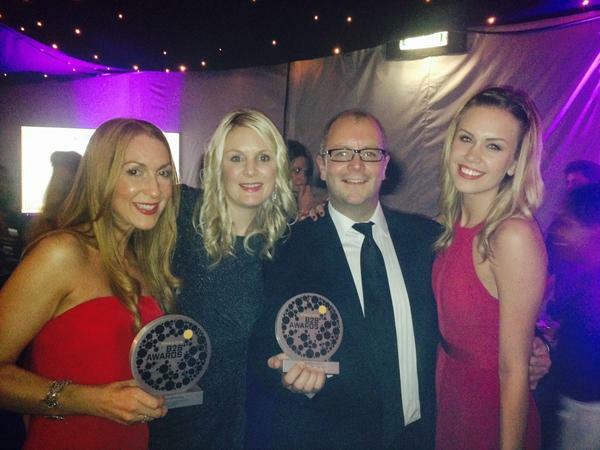 B2B Marketing Award Winners – that’s us! Last night, B2B Marketing held their annual awards ceremony at the HAC in London – an event which attracted 750 marketing professionals and took the title of ‘largest gathering of B2B marketers in Europe’. Having been shortlisted for three awards (Best use of Content Marketing, Best SME-targeted Campaign, and B2B Marketing Communications Agency of the Year) we were hopeful of scooping one on the night. In actual fact… we won two! Really B2B have been shortlisted for 3 accolades in this year’s B2B Marketing Awards including B2B marketing agency of the year. Following a year of fantastic growth and enviable results generated for clients, we have been smashing through original targets and going above and beyond like never before. In a category that includes other fantastic B2B marketing agencies, we are delighted to have been recognised in this very talented group.